While a U.S. Supreme Court decision yesterday in the case of a Michigan Native American tribe’s allegedly illegal casino appears to have nothing to do with payday lending, experts say it’s a game changer in states’ efforts to rein in the often predatory industry. The National Consumer Law Center reports that the court decision [PDF] has serious repercussions for illegal online payday lenders who claim to have affiliation with Native American tribes in order to avoid repercussions. While Wednesday’s court decision in the case of Michigan v. Bay Mills Indian Community affirmed that the state could not sue an American Indian tribe for operating an off-reservation casino, it also made clear that the state has other, equally powerful, options when a tribe conducts activity off-reservation. The Supreme Court emphasized that when a tribe conducts off-reservation activities they are subject to any generally applicable state law. Meaning the state can deny a license and if a tribe goes ahead with the unlicensed activity the state could bring suit against tribal officials and employees seeking an injunction or pursue criminal charges. Officials with NCLC say the decision makes a clear statement that states can “shutter, quickly and permanently, an illegal casino” and that the same is true for illegal payday loans that claim tribal affiliation. Payday lending businesses that align themselves with American Indian tribes have come under greater scrutiny by federal regulators in recent years. In March, a U.S. District Court judge upheld a magistrate judge’s 2013 ruling that the Federal Trade Commission has authority to regulate certain companies associated with Indian tribes. That ruling revolved around Colorado-based AMG Services’ claim that it was exempt from FTC enforcement because of its affiliation with American Indian tribes. 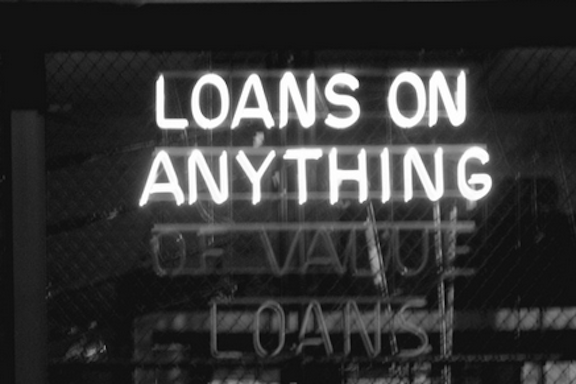 Last November, New York State sent cease and desist orders to dozens of online payday lenders to make them stop pursuing residents through advertisements in the state. In August 2013, Western Sky Financial, a payday lender operating out of a tribal reservation in South Dakota, announced it would discontinue offering loans after facing lawsuits from around the country over three-digit interest rates for its loans. The company had perviously claimed they were not bound by state law because of their tribal affiliation. These lenders are just a few of the payday operations that claim they are not bound by state law because they operate on tribal reservations. Wednesday’s Supreme Court decision gives new life for a push by states to rein in the payday lending industry.